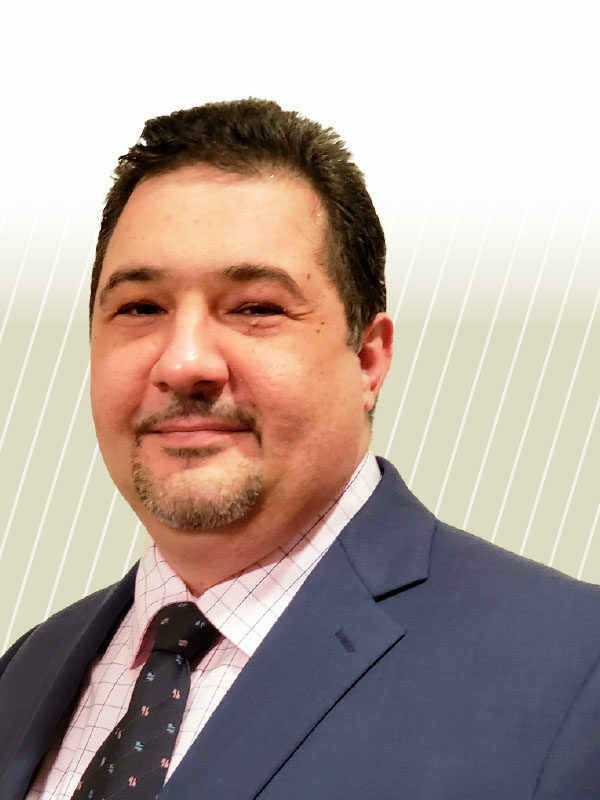 When he visited his mother’s office at United Arab Emirates University, Anas Massri used to imagine what it would be like to work at such a prestigious institution of higher learning. So in 2006, when UAEU offered him the position of senior accountant, he readily accepted, packing up his family and home in Ohio and moving to Al Ain. “I grew up in that part of the world, and I wanted my family to experience that lifestyle,” he says. A big promotion in 2007 lured Massri to a position in the Abu Dhabi government, where he first worked for the Crown Prince Court as the financial controller. In 2010, he transferred to another government position at Paris Sorbonne University as the head of the finance department. After seven years abroad, Massri returned to the U.S. in 2013, and is currently the assistant vice chancellor for fiscal services, Missouri University of Science and Technology, Rolla. When you were working for the Sorbonne in Abu Dhabi, was language ever an issue? Not really. I was already familiar with French. And, because my native language is Arabic and I speak English, communicating was easy for me. In the UAE, Arabic is the first language, and English is the second language. To use French was a fascinating challenge. It made me understand that people are open to learning new things if they are introduced in the right way. Did you encounter any security issues? No, the UAE crime rate is very low, and police are friendly and responsive. The Ministry of Interior is committed to working to attain the ultimate objective—position the UAE by 2021 as one of the countries with the lowest violent crime rates in the world. How did your family like living overseas? My wife is American/British, and she enjoyed the lifestyle and amenities that Abu Dhabi offers. Plus, she was able to travel a lot through her position at the Abu Dhabi Education Council in the HR field. Our three children went to an American school. They were able to study an American curriculum, but they also learned about the Arabic culture, which helped them understand both their mother’s culture and mine.Also, due to its location, the UAE has easy access to many countries that we were able to visit during our time there. The experience helped in rounding their personalities and shaping them into global citizens. What made you come back to the U.S.? We were very lucky to have had the opportunity to live overseas, but there comes a point when children need a place to call home permanently. Coming back to the U.S. meant that our oldest son could get acquainted with life back home and prepare himself for higher education. Living overseas has many advantages, but it also comes with some disadvantages. We wanted to give our children the best of both worlds. Was it difficult applying for positions in America when you lived overseas? It was very difficult because U.S. institutions don’t cater to international hires and there is a huge candidate pool to choose from already living in the United States. When I applied from UAE, I didn’t get much of a response. After I came back to the U.S. and started applying for positions, the response was much more positive. How is serving as a business officer overseas different than serving in the U.S.? There are more than 200 nationalities living in the UAE, so adjusting to the various work styles was a challenge. The language barriers were sometimes an issue as well. Overall, it was a great learning opportunity and I was able to acquire a variety of great work practices. How do the financial requirements vary at the institutions where you have worked? Each country is governed by different rules, regulations, and laws. In my field, taxes is one of the more complex issues. Each country has its own tax laws that need to be fully understood in order to do a good job. When I worked in the UAE, there was no taxation system in place; however, there was early preparation for its introduction. In the U.S., the taxation system is much more stable and complex. When I moved back to America, I had to quickly relearn the tax rules and regulations here. 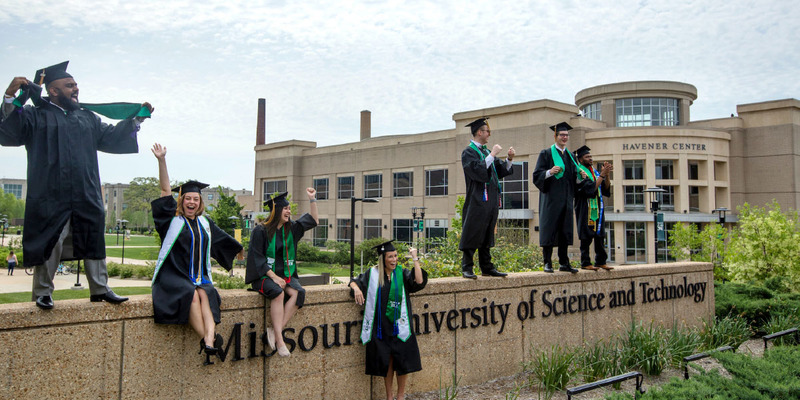 Members of the Class of 2018 celebrate in front of the Havener Center at Missouri University of Science and Technology. Tell us about your experience reorganizing accounting departments. How can business officers avoid internal turmoil? Before I make any changes, I give myself time to see how successful and efficient the department is in achieving its goals and objectives. I usually identify a weakness in an area and start from there. I always include everyone in the department to get their feedback and their buy-in throughout the process. Change in any organization can create fear and hostility among the employees, but if done right, it can be turned around and seen as a great push forward. You were instrumental in implementing the finance section of the enterprise resource planning system at Paris Sorbonne University What secrets can you share? All systems are very complex and having someone with in-depth knowledge of the specific program is essential to its business success. I have used the ERP system intensively both as an administrator and as a super user, and that aided me in customizing the system to our specific needs. A lot of systems are bought off the shelf, but the secret is in making it tailored to your particular organization. You supervise the budget, accounting, cashier, and business management offices. Which is most likely to keep you up at night? None of them, because I have a very knowledgeable team. Each director manages a great group of people, who are experienced and very open to adapting to change as well as being continuous learners. Talk about your management style. People are the most valuable asset in any organization. By working with diverse people, I have learned how to listen and then translate their comments into action. I believe in including my staff in the decision-making process; this results in changes that are supported by employees. Can you provide an example of a policy that you developed and how it helped your institution? Although I didn’t develop the policy, I was recently part of a team that reviewed our accounting and budgeting policies to ensure that they aligned with new practices. Share any life-changing experiences you may have had. How did they impact you? My father died during heart bypass surgery when I was in my second year of college. He was only 52 years old. Losing my dad made me realize that life is precious. My mom, who wanted to ensure that we had a happy life and good education, pushed me and my siblings to move forward and complete our education. My sister is a professor at Waterloo University in Canada; one brother is a periodontist in San Antonio, Texas; and another brother works for the American Cancer Society in Dallas. My mom married when she was 17, but she continued her education and got her Ph.D., and now is an assistant professor of education at Zayed University in Abu Dhabi. How do you unwind from the pressures of the job? My family and I enjoy socializing and going out. Traveling is one of my favorite hobbies and I have been able to visit five continents. We take family trips to explore other states and we visit family who live around the world. Favorite Song: Songs that talk about spreading love. We need to be kind to one another. Favorite foods: I love all types of food. My favorites are hummus and fatoosh, a type of salad. Favorite book: Work Rules! Insights from Inside Google That Will Transform How You Live and Lead by Laszlo Bock (Twelve, 2015). Favorite vacation: Cape Town, South Africa. Favorite times of day: Sunset and sunrise. Favorite pet: We have five cats. We initially had one cat, which then had four kittens. My wife and my three children wanted to keep them all so that they could each have a pet.